Another hot weekend in California, another refreshing smoothie. 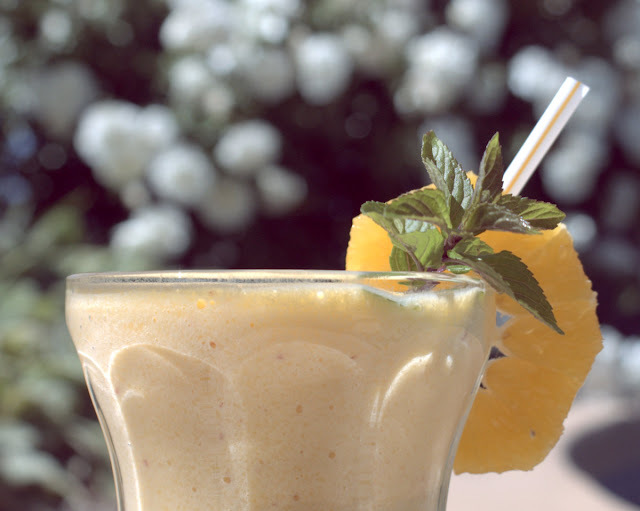 This time one Mango, one White Nectarine and two ice cubes went into the blender , and after smoothing these ingredients on high for a minute, a cup of milk was added on 10 seconds low blending. All ingredients are organic except the cubes. The decoration in the picture is Mint from our garden and an Orange slice.